From the moment Judas left the Last Supper, Christ knew that he did not have much more time with his apostles. He only had time for his most important teachings. What did Christ choose to say? 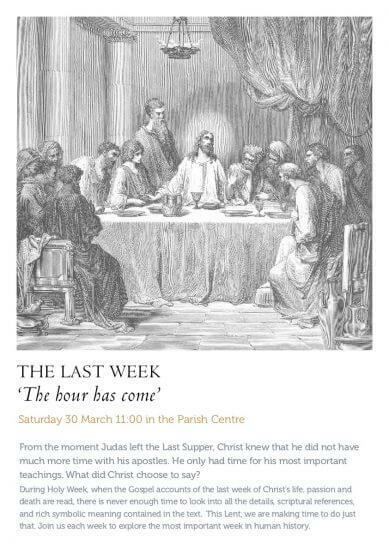 Talk takes place on Saturday 30 March in the Parish Centre. Cafe Neri open from 10:30.